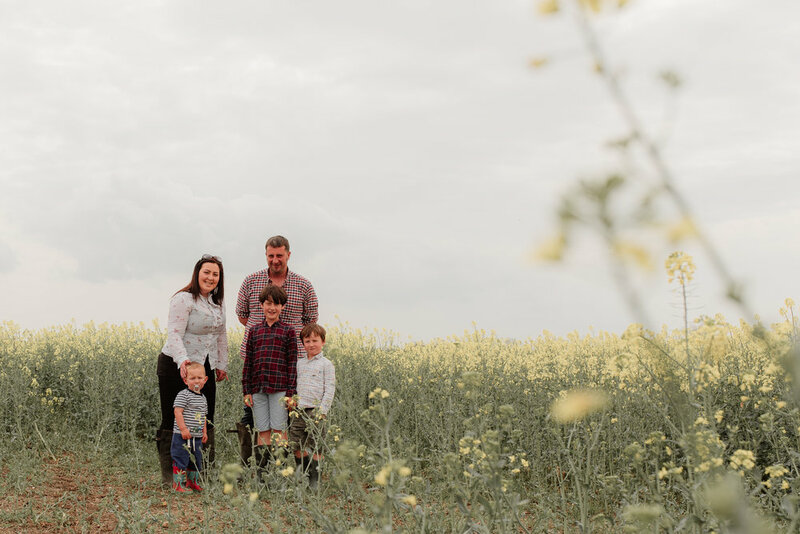 I met Matt & Hattie on their family farm, along with their three boys, for a relaxed engagement shoot ahead of their wedding in June. We explored lots of different areas on the farm; fields, barn, hay bales - even the tractor got involved! We excitedly chatted about their plans for the big day itself, capturing some fun family images along the way. When my couple's have children I always think it is nice to involve them in the engagement session. They will play a huge part in the wedding day, so including them in the engagement shoot enables me to start getting to know them which then means that they (along with the couple!) are more relaxed in front of the camera on the wedding day.